Who doesn’t enjoy seeing a jolly Santa face during the holidays? 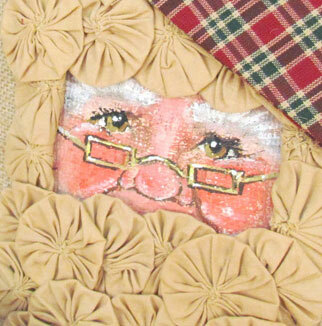 This DIY pillow will be a Christmas favorite in my home for years to come. 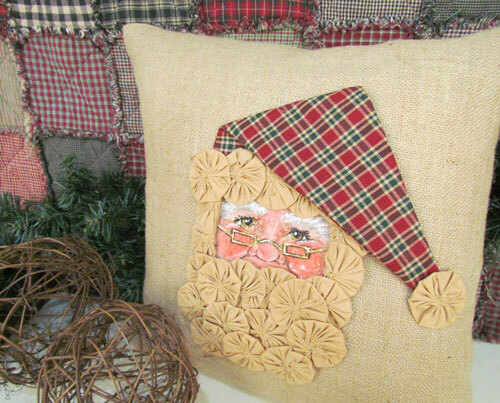 To make this Santa pillow, we used a burlap pillow flat, tea dyed pre-made yoyos and a bit of homespun fabric. My very talented friend, Annetta Gregory, painted the face. I love the personality she gave my Santa! Then I stitched the hat fabric into place and then glued the yoyos on. Taking care, of course, to avoid stitching or gluing through to the back side of the pillow. I had a 16″ poly fiberfil pillow insert that I used to stuff my pillow but you could also use any 16″ – 18″ size pillow that you had on hand which you might be tired of. 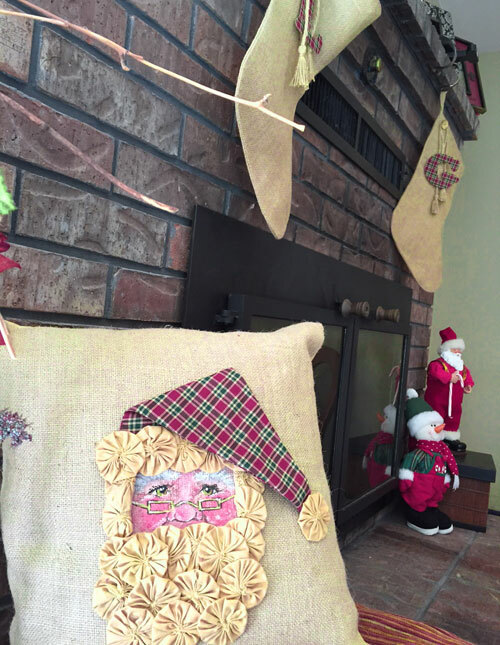 This Santa pillow now sits on my fireplace hearth. Notice how well he goes with our burlap and homespun initial charm stockings?